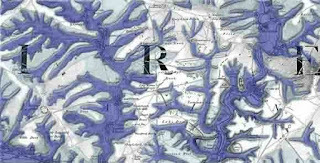 For the first time in cartography, Robert John Langdon has undertaken to map the Prehistoric Waterways that existed directly after the last Ice Age and continued to be in existence up to the Bronze Age. These maps are drawn on the old OS first map series from the early 19th Century - as they still had some archaeological features modern farming has eradicated. 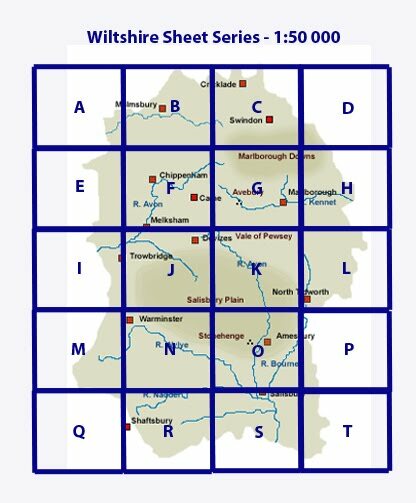 December 2013 saw the launch of my new Prehistoric Map Series with the release of the first three 1:50 000 scale and six 1:25 000 scale maps of Central Wiltshire covering the topography of the four case studies contained in my book 'The Stonehenge Enigma'. 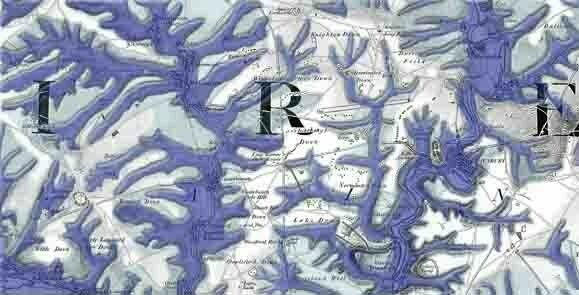 The maps cover a total of 800 sq km (500 sq miles) and contain not only over one thousand ancient monuments including Long and Round Barrows, earthworks and sites but detailed locations of all the 'Post Glacial Rivers' within that area. 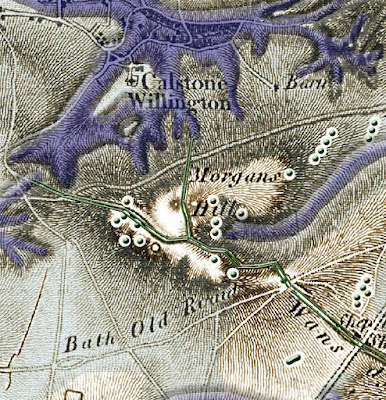 I had decided to present these unique maps on the old Ordnance Survey one inch to a mile series created in the 1800's, as they show how the landscape looked before modern agriculture destroyed the historic natural environment including 400 barrows in just this one small area. These excellent maps are ideal for the archaeologists and historians as they show some fantastic features such as individual standing stones and the original Sarsen rock crops which were still visible then. For those who have not yet read my book 'The Stonehenge Enigma', my hypothesis states that after the last ice age when two miles of ice lay on our tiny little island, rather than the water from this great melt simply running away into the sea as most of the so-called 'experts' believe, it did in fact seep into the soil and rocks creating vast lakes under the ground which hydrologists call 'aquifers' . Because of the extreme mass of the melting ice (remembering that usually a couple of inches of rain normally results in massive flooding even today) the 126,000 inches of equivalent rain must have swamped the landscape after the last ice age and the evidence I presented in my book shows it stayed flooded for thousands of years afterwards. And it was on this flooded landscape that man first built his monuments and sites as I will illustrate later. On my Map Series, the Post Glacial Flood waters are presented in two phases - the Light Blue showing the extent of flooding in the Mesolithic Period (10,500 BCE to 4,500 BCE) and the Dark Blue for the Neolithic Period (4,500 BCE to 2,500 BCE). It should be remembered that the waters receded gradually over this eight thousand year period, so I have selected a maximum flooding level for each period to illustrate the extent of the waters. 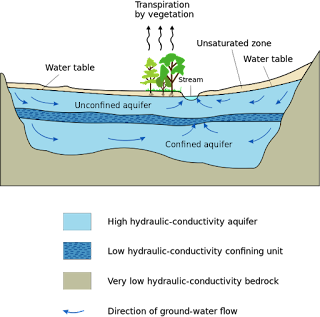 So the waters illustrated by the light blue colour were there no more than six thousand years and in some cases less than a thousand years causing some scarring on the landscape in the form of dips and shallow valleys. 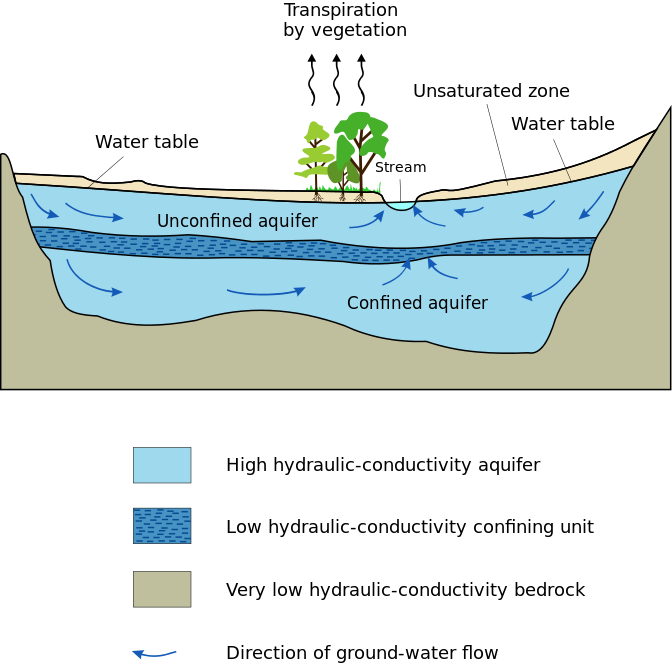 The dark blue river systems were there for nearly eight thousand years and a minimum of six thousand years is creating the deep 'dry river valleys' we see today. Now the book made a revolutionary and bold prediction - that all ancient monuments were built on the shorelines of these rivers and the book then concentrated on just four of these sites; Stonehenge, Avebury, Old Sarum and Durrington Walls (Woodhenge) to prove the hypothesis. These maps go much, much further and look at one thousand sites (has there ever been a greater test of a hypothesis?). Some critics will look at the maps and see monuments in the predicted waterways - but don't jump to the conclusion that the hypothesis is incorrect - for not all of the ancient monuments here are built at the same time. We are looking at ten thousand years of prehistory if we include Saxon and Viking barrows, so if half of these constructions were in the water (depending on the age) then we should not be overly surprised, for according to the laws of probability and chance at least half should be in the waters - but there not, like most they have been constructed in the Mesolithic or Neolithic period and lie on what was dry ground by the prehistoric waters edge. 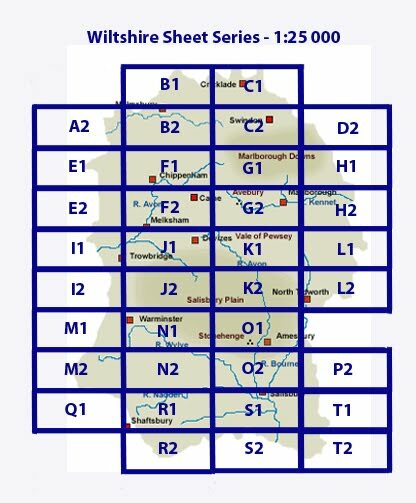 If we look at the distribution map we see that about a dozen round barrows are in the predicted waters, so to understand why this is the case here, we need to see how archaeologists categorise the term 'barrow'. It seems that this term is commonly used for ANY construction of mound built in history and not necessarily the prehistoric period we are studying. So a barrow on an OS map could date from the age of Stonehenge to even the recent Medieval period. Which is not very helpful and one of the many historical mismatches, which can lead to confusion. So what can we see on these maps that we did not know before? The answer to that question is EVERYTHING! I would be so bold to say that you can learn more about prehistoric monuments and why they located where they were than if you spend (as I have) many a long year in classrooms with dusty professors and their overhead projector slides, guessing at their use and the ceremonial nature of their construction. 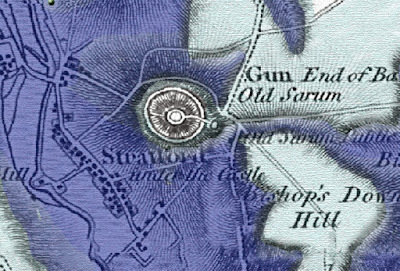 What you should remember is that for the first time a map has been published showing not just the existing monuments, as you would find on a good OS map, but the missing features that modern maps and satellite photos do not show - such as registered ancient monuments found through excavation. And yes I know you can get a list of monuments off the internet, but sadly most of their positions are wrong as they were mapped before GPS and dusty old professors have difficulty reading maps accurately. Fortunately, I have located most of these missing registered sites either from the old OS series or satellite photography over several years - pain taking business believe me. So let's look at my top ten sites for these newly released maps and learn some real history! This site is the basis for my book 'The Stonehenge Enigma' - as you can see from this newly released prehistoric map series of mine, the monument was surrounded by water in the Mesolithic Period (Light Blue) and hence the cover picture I've used of the book. But the most important reason the waters in the Mesolithic are of great value is because in 1966 three/four post holes were found in the visitors car park, which as you can see here was on the shoreline of the river Avon. These posts were carbon dated and were found to be erected around 8000 BCE. Moreover, this fact not only proves the maps are accurate but gives us the construction date of Phase I of Stonehenge, which is five thousand years earlier than currently believed. The other extraordinary feature of Stonehenge is its Avenue, as you see here it was constructed to meet the water level of the Neolithic Period some four thousand years after the Mesolithic Floodwaters had subsided and were no longer flooding the visitors car park. 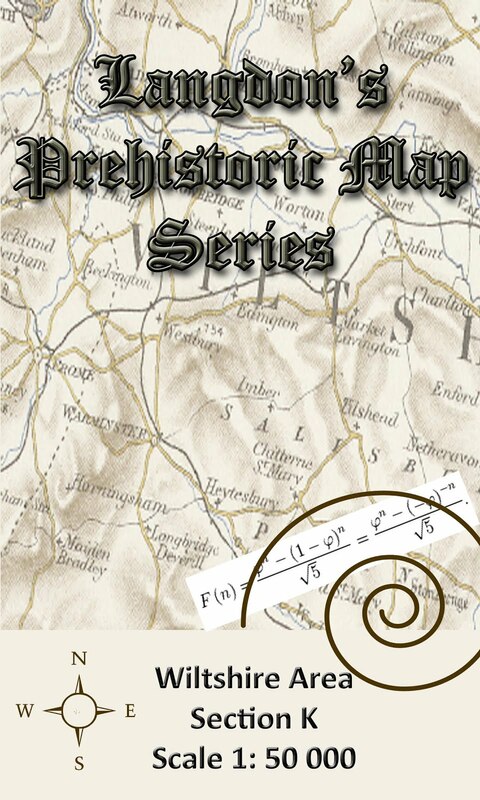 So one simple map - two of the greatest archaeological mysteries of the last 400 years resolved in just minutes - For these maps are the ultimate archaeological tool ever! While we are still on this small fraction of this map, we can even solve a third mystery called the Cursus. Many a strange theory has tried to resolve this feature, yet with this map series to answered is painfully obvious. In the past, the prehistoric rivers used to flow through the centre of this site. On one shore we find a Long Barrow made for the dead and on the opposite shoreline we find a Round Barrow (no doubt representing the living). So the Cursus represents the 'voyage' to the afterlife - But how do we know this? 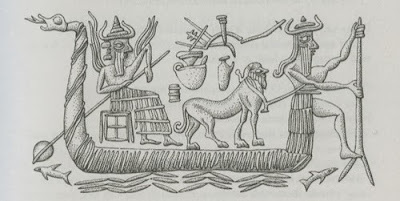 The religious traditions of ancient Egypt and Mesopotamian (as I will show in my new book released in June 2014 - Dawn of the Lost Civilisation) have always depicted death as a journey across the water to the afterlife. Here is a Mesopotamian picture of that same voyage and the walls of Egyptian temples show similar depictions of this most ancient belief system. 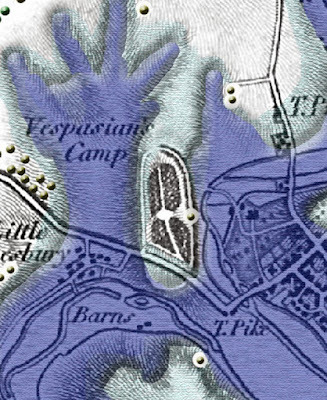 There has been a lot of media reporting about 'amazing and surprising' finds at a site close to Stonehenge called Vespasian's Camp - well it's no surprise to me for as you see it was an island in the Mesolithic (which means they needed a boat) and a prominent peninsula in the Neolithic. For it was a trading post for those who travelled north from either Old Sarum to Avebury (the superhighway M25 of the Neolithic) or Stonehenge and therefore Vespasian's camp is the 'Clacket Lane' where you would have a stop for quick wild boar burger or an overnight stay. But I know what you are thinking - how do we know you knew they would find Mesolithic artefacts long ago?....... so let's make a prediction for the future, which is another positive aspect of these ancient treasure maps. Another 'pit stop' camp (has yet to be fully discovered) is Ogbury Camp - notice that the Mesolithic waters would have filled the moat for boats. There has been little to no excavation work this century and all we have is work undertaken nearly two hundred years ago, including this map. A Neolithic Scrapper has been found (but the dating is questionable). Moreover, the path at ten o'clock on the map (I would suggest to any budding amateur) would be the best place to look for post holes and artefacts, as it would have been used to transfer goods, from a new mooring point when the waters had dropped in the Neolithic. This place is a Case study in 'The Stonehenge Enigma' and from the map, you can see why. This was an island in both the Mesolithic and Neolithic and so would have been used for nearly ten thousand years. Inside the moated island, there are two harbours which would have dated from the Mesolithic Period, but the huge ditches on the outside would have been constructed in the Neolithic Period as the waters receded to allow boats to dock. Now let's go for something less obvious, to show just how powerful this map series can be! 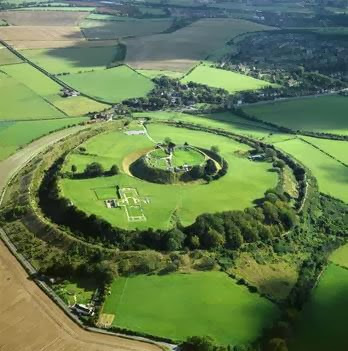 Earthworks are one of the greatest mysteries to archaeologists and historians; the history books will tell you they are either Roman, Saxon or Medieval, but what use are they to anyone? I read recently in a well known archaeological magazine an article by a gulf war 'tactician' who believed that these were places built to stop carvery charges during the dark ages!! Sadly he failed to recognise that you could charge quite easily around the edge of these so called 'barriers' which would be much more 'sensible' than trying to go over the top against well-defended troops - as most are usually less than a kilometre in length. 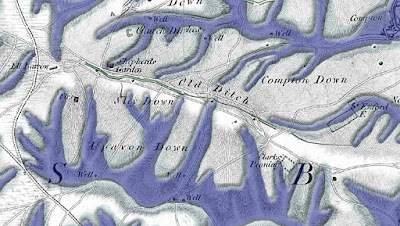 My maps make it obvious what they were, as the ditch connects to a water source and goes to yet another water source - it's called a canal !! Clearly on this map some of the old canal is missing from current view, which is no surprise as this feature is six thousand years old and would have been cut when the Mesolithic waters started to retreat and would be the only way reconnect to the existing settlements (remember this was a boat civilisation, walking and paths came much later) was to cut a ditch between two existing water sources. 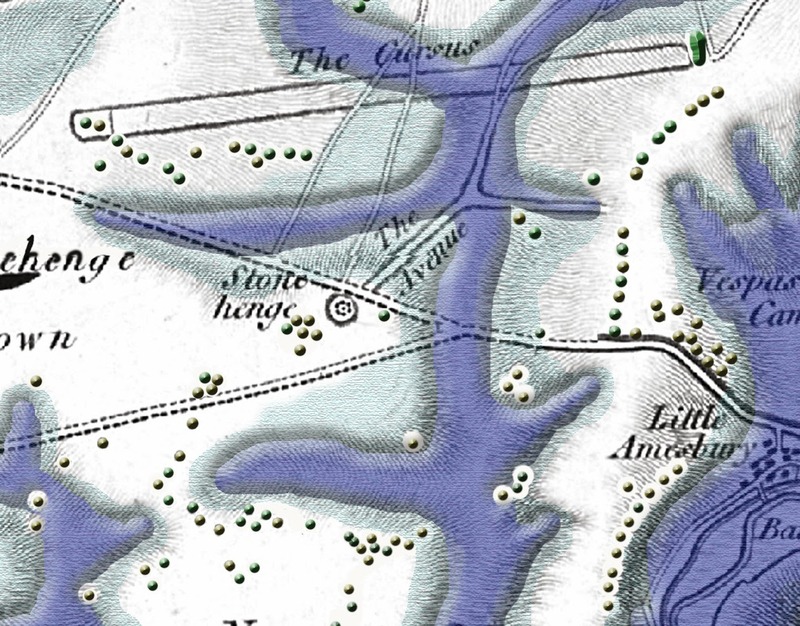 The other interesting aspect of this part of the Map is the Long Barrow. As my book shows, these were used as both funeral monuments for the voyage to the afterlife and also as navigation markers. 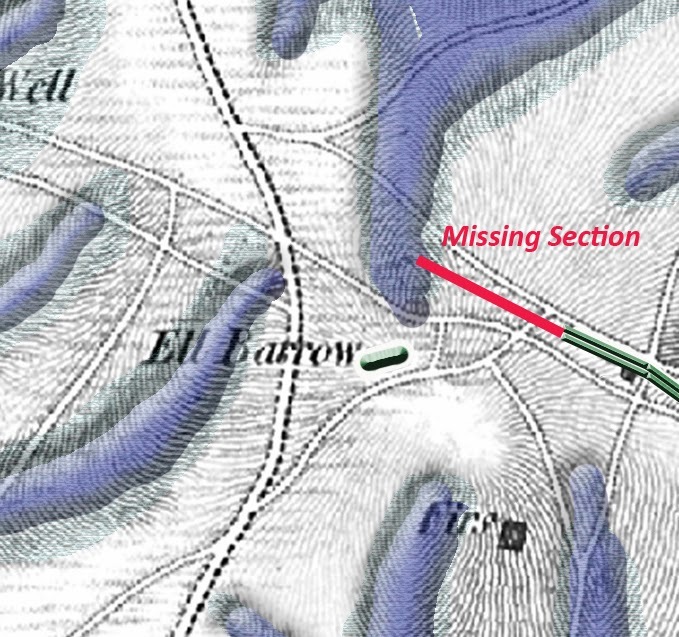 So was the canal built to connect two waterways and the Long Barrow was a marker to steer ships towards the canal or it could be created to just access the Long Barrow much later when the Neolithic Waters receded? I have yet to survey this area so, to be honest, we don't even know if it's a real Long Barrow (as archaeologists don't understand the difference between a burial boat and oblong later Medieval mound). So until someone armed with my map does some field walking, we will never know? Looking at canals of the past this one is a real beauty!! It took the Victorians one hundred years to build the Avon and Kennet canal - what they did not realise is that it had already been built six thousand years beforehand just 3km above their construction. This is a remarkable piece of engineering and my maps show the reason why it was dug in its position in the landscape and did not rely on using the rivers the Victorian adapted for their connection. Even on this partial section of Wansdyke (this is only the west section) it would have had over twelve sources of water to fill the ditch and keep it flooded for boats. The Victorian had to use a system of 'locks' to move water around - our prehistoric ancestors just created a new river to sail upon, which begs the question - who are the better engineers? I shall be bringing out a book in the spring that looks at this engineering project in great detail, but two aspects I would like to share with you here is the scale of this project. 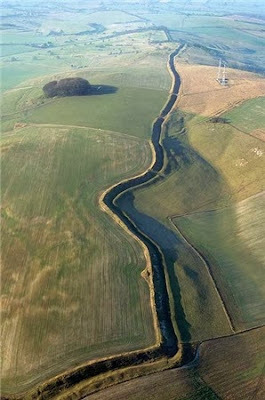 The Avon and Kennet were 6m wide and 1.3m deep; Wansdyke is 21m wide and 3m deep. Another area of interest again proves the value of these maps and disproves current archaeological theories. At the west end of the map, we see something quite interesting. Wansdyke splits into two sections - both of which join to a water source. So did the ancient sailors have a choice of directions or did one of the water sources dry up and was another canal needed to be built? Again only more detailed field walking on this site will be able to tell us if it were a split in the river system one of those Barrows that surround the junction would have indicated the way - but which one, or is one at the exact junction missing? What is obvious is that this is not a defensive earthwork as current archaeologists maintain, as you can see you can walk around the edge which is on the higher ground and what was the point of two ditches, did another tribe come from a different direction? - complete nonsense!! My book goes into great detail on this site but for this blog just take a look how the River Avon lapped not only to the edge of this site but inside, as it was used as a natural harbour - if you don't believe me just take a look at the profile of this site and ask yourself a question. Why build a 'henge' when the centre has such a slope that any house would get swamped by rain water running down the hill? 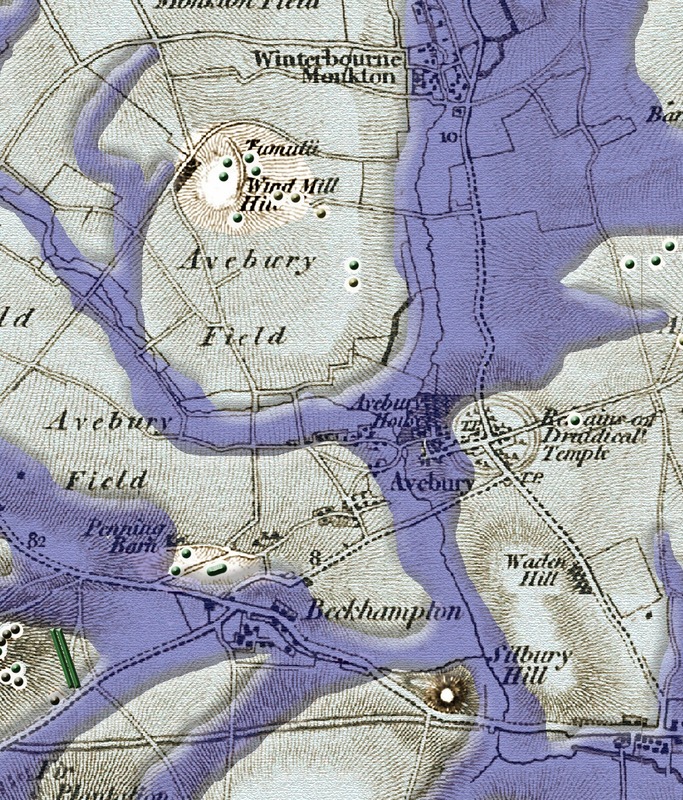 The question is even more relevant when you realise that on the edge of the site there is perfectly suitable flat ground which would not flood - so were their builders 'stupid' or did they have a very good reason for their madness - the map again answers this profound question. For clearly it is a harbour for boats which gives us a major scientific clue on why are 'henge' walls built on the outside of the ditch? It can not be defensive again as it gives the advantage to the attacker, the only 'sensible' solution it that it shelters the harbour from the weather. Sorry to disappoint the ritual and ceremonial 'nonsense' lobby, it just make complete sense and its good science. 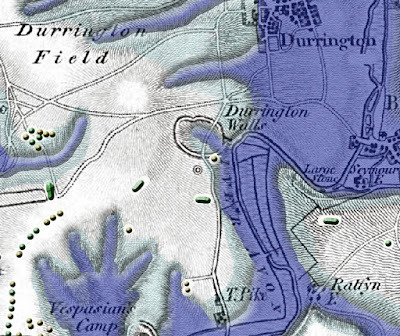 The other fascinating aspect at Durrington Walls is the Long Barrow. Obviously, the harbour was built to accommodate visitors to Woodhenge, so was the Long Barrow placed there to attract boats to the harbour? We had already talked about Wansdyke and this marvellous achievement of engineering that was created six thousand years before Victorian engineers attempted the same feat with less success. But before this connection between the Thames and the Bristol Channel, there was a natural waterway that connected the two and that was at Oldbury. North of Oldbury there is a natural waterway that runs from Silbury Hill to the Bristol Channel. 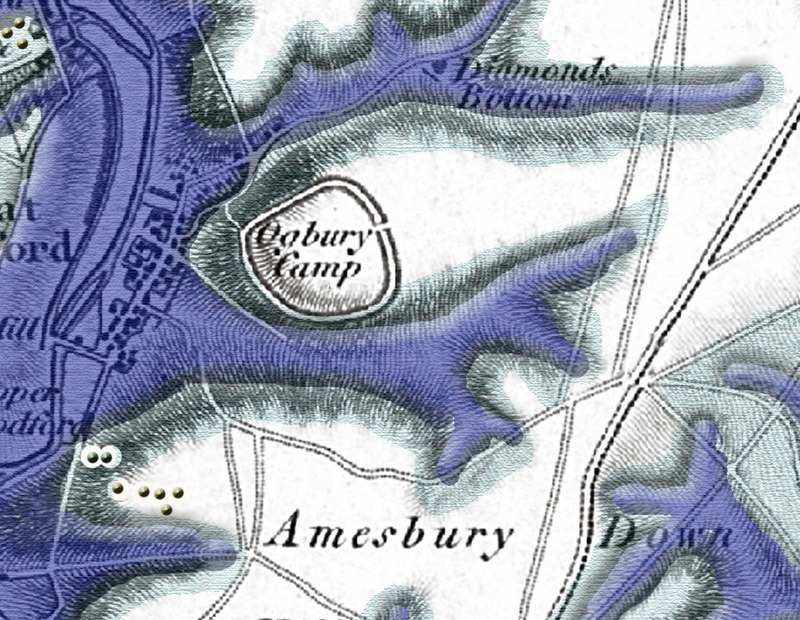 Therefore, this site was an obvious port-of-call for boats travelling from the Avebury area. I would suggest that at some point during the Neolithic Period (before Wansdyke) this area dried up due to the receding water levels and would have isolated the Castle. So a canal was cut from the deeper waters to the castle which can still be seen in part on the map. Now did the canal travel past the site? I believe this option is open to investigation, for it is possible that the main route north of the site make have dried up as well and if this is the case a new route needed to be found. Clearly, the river connection to the canal in the east dried up and a second additional canal seems to have been added to continue the use. I kept the best until last as one of the most important questions (and seems we answered so much with only these three newly published maps) archaeologists ask is what come first Avebury or Stonehenge and the answer is again simple and make sense when you reflect on the structures in detail. 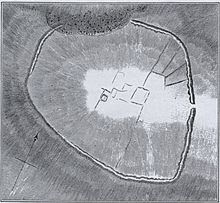 During the Mesolithic at the time Stonehenge (as we have discussed earlier) Avebury consisted of only a concentric circle site at Windmill Hill as the surrounding ground was under water. No doubt Windmill Hill was important as an island as it laid on the main trading route between the Thames and the Bristol Channel. 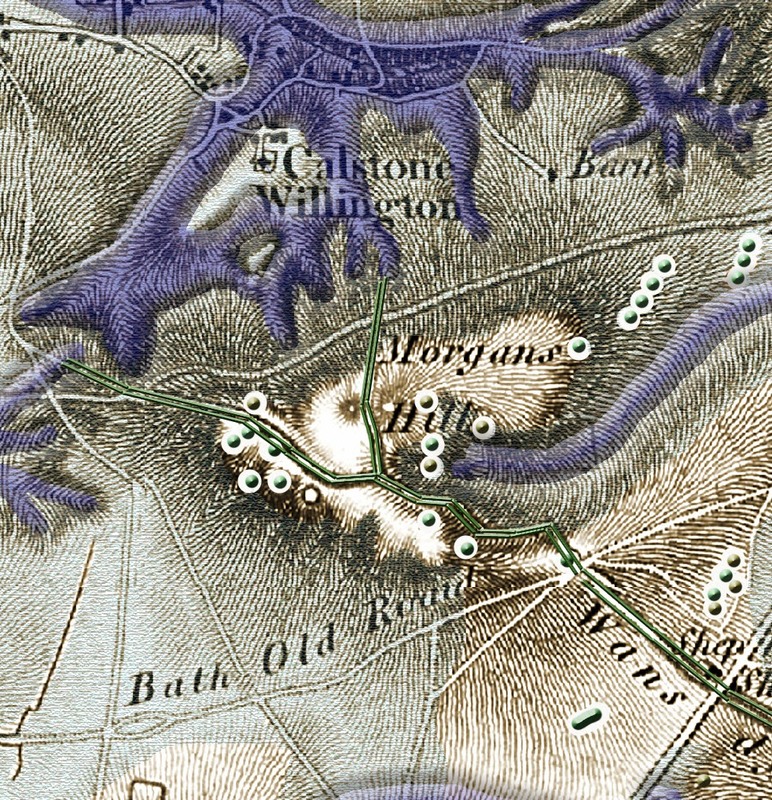 By the end of the Mesolithic (about 4,500 BCE), the existing Avebury site was dry and Windmill Hill was no longer an island as the rivers receded (although the map shows a river did still service its western side of the site until the Neolithic). So Avebury would have been built during the Early Neolithic period which architecturally makes sense as the Stones were bigger, the site was larger and the mooring ditches are the largest found in Britain. This takes better-organised labour force and larger boats to achieve - so a later date is more logical. Silbury Hill therefore would have been built at the same time and as we suggested in my book became the first 'Lighthouse' in the world and acted like a beacon attracting boats even at night to the safe harbour of Avebury. This is just highlights of what these new prehistoric maps contain - there is much, much more we can study, but more importantly these maps give us incredible tools to discover new sites and prehistoric features for it shows a timeline which can date features more accurately than present. I hope you enjoy studying this map series and it encourages you to go out and explore for yourself - who knows what new exciting pieces of history you will discover - and if you do let me know here and I will publish your field work.